Angler's Haunt - Protecting the cork rod handle. Someone asked me what do I use to protect my rods with cork handles. 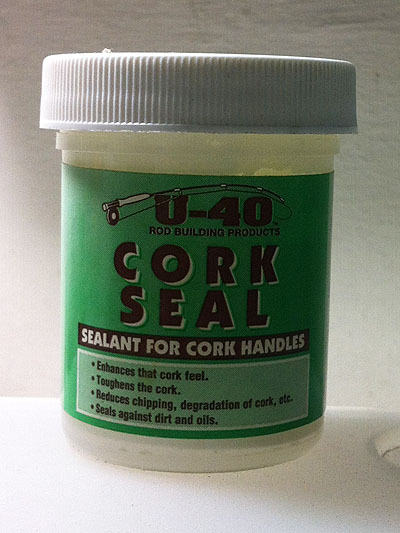 I have heard of people who uses wax to give the cork material a rub down, I have never tried that as I a product from U-40. I got to know this product from a forum and so far I have no problem with those cork rod handles that I have coated with this product. The bottle I got looks something like the above. Make sure to use a brush to apply it and ensure that the coating gets into the little cracks and grooves for better protection. 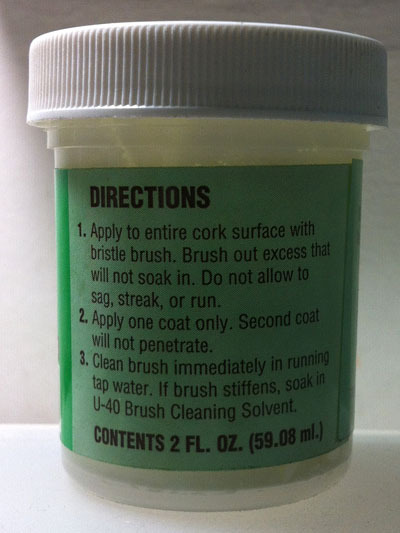 As the product instructions stated, coat only once.